For us the question was never why adoption? It was always, why not adoption? For whatever reason God placed the desire to grow our family through adoption heavy on our hearts and we feel honored to have walked this far through that journey. It’s hard to believe it has been seven years since we started our adoption process. Seven years filled with hope, let down, pain, joy, guilt and love. Seven years of learning, growing and changing as a family. We started the adoption process in 2011, naive to the process and emotions that can’t really be described or prepared for. We had walked through the adoption process with close friends and celebrated alongside them in their journey. 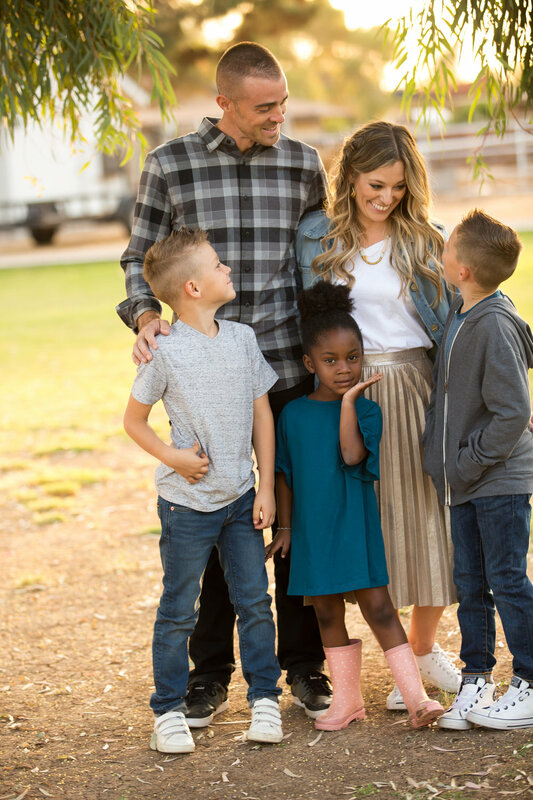 As we watched them and others around us grow their families through adoption we saw that it was both beautiful and hard, but never imagined how it would play out for our family. We jumped right into the mountain of paperwork, fingerprint clearances, personality assessments and home visits that go along with the home study process. Our boys were little and we began to talk with them about their new sister, we didn’t know who she was or when she would come, but that we loved her already. Just a few months after our home study was complete we were matched! A chose us to parent her daughter! It felt surreal as we began to form a relationship with her. Just weeks before her due date our beautiful girl lost her heartbeat. And it felt like we did too. Our hearts broke not only for our boys, our family and our dreams, but also for her beautiful mom who had carried her and loved her before we ever did. We were broken. The next year was the hardest we had ever experienced. The pain that came from that loss felt almost unbearable and it was the hardest thing to navigate. How do you explain the feeling we were having to others? Losing a baby you never held and potentially night never, we weren’t her parents yet, there just didn’t seem to be a way to describe it. Combining that pain along with the pain felt for her mom who actually held her and felt her kicks, turns and hiccups. Close to a year after our loss we started considering adoption again. Tentatively we began the process of renewing our home study, researching agencies and completed the PS-MAP classes in order to be considered as foster parents. The wait was hard and the emotions were heavy. As we began to prepare for our daughter our hearts still hurt so much for the one we never held. We went through a season of being told no by a number of birth parents who didn’t see us as the right family for their child. For whatever reason those no’s, although they hurt, didn’t crush us. Then in December 2013 we were told yes, yes I want you to be my baby’s mom. It was scary and amazing all at once. Just four short days later our girl surprised us a whole month early! The trip to go meet our daughter, and to see, hug and hold her mom…just thinking about it makes my heart bear fast now. It was the hardest and best thing we have ever done. In the years since her birth we have had the honor of raising the most beautiful, funny, smart little girl with the support and love of her family. I know our situation is uniquely ours both the good and the hard. Our journey to who our family is now held a huge loss. A loss that every single birth mom feels when choosing adoption and placing their child. For us the loss was crushing, but brought with it so much beauty. 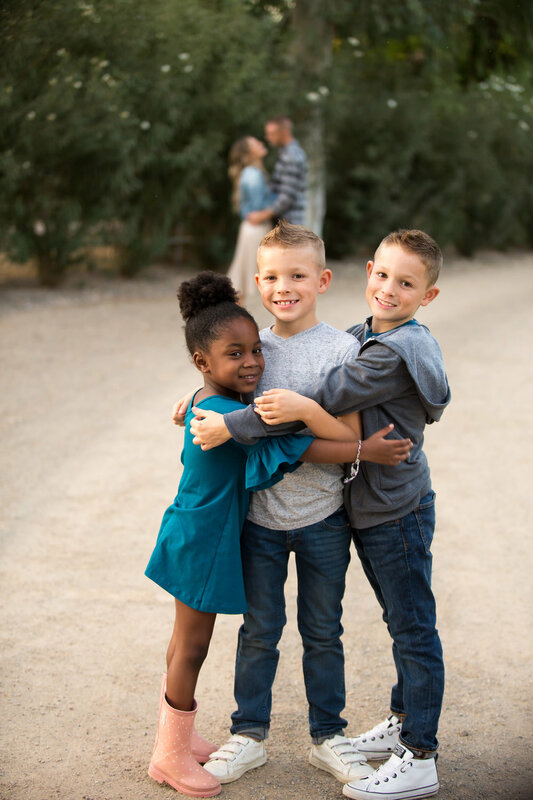 We not only have one family gained through adoption, but now two! We have two different women who care deeply about us, who want to see us succeed. Women who will share their knowledge and experiences to help us as we raise our girl while pouring into us and her. Two different families who we will always share an unimaginable bond with. Adoption is never easy and it’s not perfect. There is pain and loss always. But there is joy and redemption, love growth and beauty too.